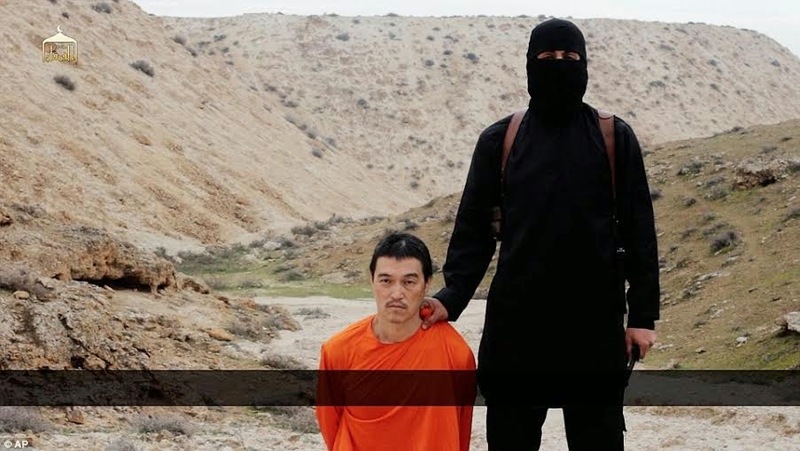 First picture of the face of the younger, normal, happy looking schoolboy who has now turned into the reviled, disgusting ISIS executioner, Jihadi John, who has publicly beheaded many foreign nationals and now the face of ISIS. 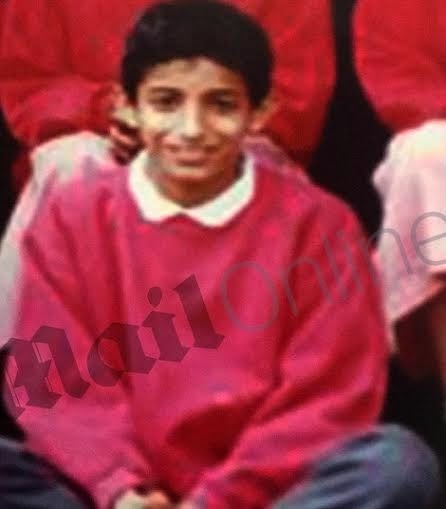 Originally born in Kuwait before moving to UK at 6, his name is Mohammed Emwazi. He embraced British life, playing football in the affluent streets of West London while supporting Manchester United. Neighbours recalled a polite, quietly spoken boy who was studious at his Church of England school, where he was the only Muslim pupil in his class. The son of a Kuwaiti minicab driver, young Emwazi arrived in Britain speaking only a few words of English, and appeared more interested in football than in Islam. It was only after he won a place studying computing at the University of Westminster that his behaviour began to change. He was on a UK terror watch list, but managed to flee to Syria in 2012. 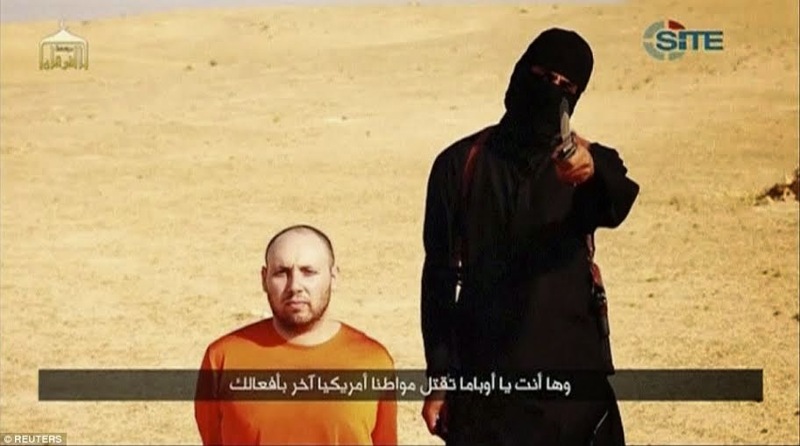 Now, he's known around the world as the notorious Islamic State murderer who has shocked the world with his blood lust. The university has since been linked with several proponents of radical Islam, and Emwazi appeared to have fallen under their sway. He began attending different mosques and was known to associate with Bilal el-Berjawi, who was killed by a drone strike in Somalia three years ago. 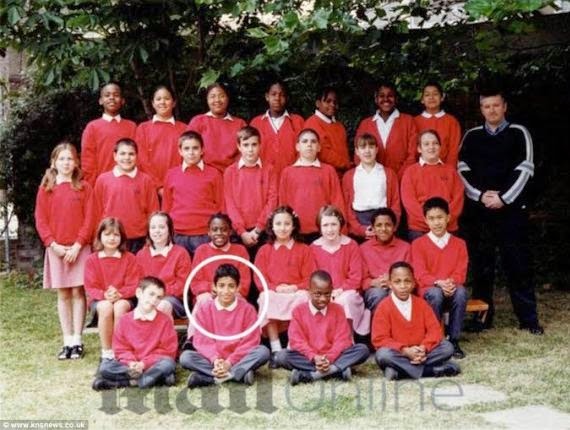 In August 2009, after his graduation, Emwazi flew to Tanzania in East Africa with friends and told authorities they were going on a wildlife safari. But the group was refused entry and put on a plane to the Netherlands, where Emwazi later claimed he was questioned by an MI5 agent called Nick. The British officer accused him of planning to travel to Somalia to join the militant group Al Shabaab, he said, and said MI5 had been watching him. Emwazi denied the accusation – bragging that he would not take a designer Rocawear sweater in his luggage if he was planning to join Somalian rebels. 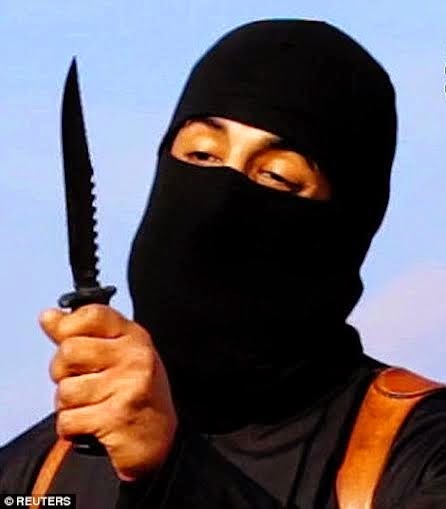 ‘Nick’ then tried to recruit the 21-year-old, Emwazi claimed, and threatened him when he refused to cooperate. On his return to Britain, Emwazi said his family told him they had been ‘visited’, and he claimed a woman he had been planning to marry broke off their engagement because her family had also been contacted and were scared. According to Emwazi, his family then began planning for him to travel to Kuwait to get him away from the ‘harassment’ he had suffered in Britain and he went to work for a computer programming company in the emirate. In his account to Cage, he said security officers continued to visit his family and he decided to make a ‘new life’ in Kuwait, where he was once again planning to marry. But following a visit back to Britain in 2010 he said he was stopped at Heathrow Airport and barred from flying back to Kuwait, and claimed that he was interrogated by an aggressive officer who threw him against a wall, grabbed his beard and strangled him. Emwazi made an official complaint to the Independent Police Complaints Commission, saying he had been assaulted by the officer. But court documents show he was also arrested himself later that year and charged with possessing five stolen bicycles, although he was later acquitted at court. Incensed by the decision to stop him returning to Kuwait, Emwazi told Cage he felt ‘like a prisoner’ in London. Friends told the Washington Post he was already talking wildly about travelling to Syria, where the uprising against Bashar al Assad was beginning in earnest. But he also applied for work in Saudi Arabia, taking a course to teach English and applying for work at language centres in the kingdom. He made one more attempt to fly back to Kuwait that year but was barred from leaving Britain again and disappeared from his parents’ home a week later. Speaking anonymously to ITV, they said the killer was unmarried and was probably picked for the executioner poster boy role because of the way he handled difficult situations. One of them said: ‘He seems like someone with not a lot to lose. There has been incidents where he has run into checkpoints and he dealt with people in a careless, gung-ho manner with disregard for his own safety.